Discover the ultimate way to vacation in the beautiful Riviera Nayarit paradise. 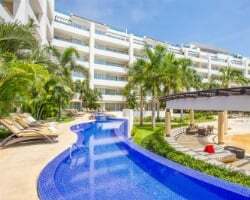 Even the most discerning travelers are part of this incomparable experience offered by Marival Vacation Club; with their All Inclusive vacation package options ranging from resort rooms to luxurious 3-bedroom residences, you will have everything you need to create memories that will last a lifetime. 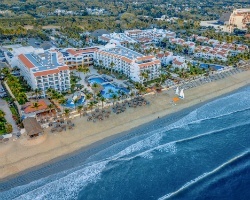 The golden beaches of Riviera Nayarit stretch over 100 miles along the Pacific coast, starting in the luxurious and vibrant Nuevo Vallarta area. In addition to the beautiful ocean, Riviera Nayarit has a lush landscape of emerald mountains. The Sierra Madre mountain range not only provides an exceptionally beautiful landscape, but a completely different range of activities for the destination. To discover more, please visit www.marivalvacationclub.com. 15 year platinum status then silver status after! Buyer may receive a title fee credit, inquire for details! Lovely upscale resort offering all-inclusive packages! Floating usage! Buyer may receive a title fee credit, inquire for details!